Zinc is a metallic trace mineral required in the body for the maintenance of good health. Zinc deficiency is found in 12% of the US population, but 40% of the elderly population, and even higher numbers in many parts of Africa and the middle east. Zinc is a component in more than 100 biochemical processes in the body, which include secretion of enzymes, metabolism of protein and carbohydrates, production of sperms and healing. Consequently, zinc deficiency leads to symptoms like loss of hair, delayed healing, loss of weight, rough skin, depression, poor appetite and lethargy. Most of the zinc in the body is found in muscles and bones. Significant amounts are also found in the skin, liver, prostate gland and eyes. However, since zinc is rarely added to the soil as part of fertilizer, the amount of zinc in foods is highly variable. Including such foods in your diet can help prevent zinc deficiency. Adding the above foods should help your body recover naturally from a zinc deficiency. However, in case of poor zinc absorption, you should consider taking zinc supplements. Symptoms of zinc deficiency include low immunity leading to recurrent infections, hair loss, infertility, weight loss or weight gain, poor memory and concentration, digestive problems such as diarrhea, reduced sensitivity to taste or smell, cravings for sugar or salt and reduced appetite. If you have zinc deficiency, your immune system is compromised. This exposes you to easy attack by various disease causing organisms. Zinc has roles in digestion and absorption of protein and carbohydrates. Because of its involvement in digestion and absorption of nutrients, zinc plays a part in energy production in the body. Zinc deficiency can lead to low energy and chronic fatigue. Increasing zinc intake can, therefore, reduce fatigue and boost energy production. Zinc deficiency increases the risk of developing age-related chronic illnesses. It is worth noting that chronic inflammation is associated with diseases like high blood pressure, type 2 diabetes, Alzheimer’s disease, age-related macular degeneration and cancer. Ensuring that your diet includes foods high in zinc helps prevent deficiency. Zinc plays an important role in the production of various hormones including testosterone, estrogen and progesterone. It increases production of testosterone, especially in men. Testosterone is critical for muscle formation and performance. It is also critical in the production of sperms and maintaining healthy libido. Are your hormones causing weight issues? In women, zinc is involved in the production of estrogen and progesterone, which are critical for the reproductive functions. It plays a part in the regulation of production of these hormones and also development and release of eggs from the ovaries. Zinc deficiency can lead to unbalanced production of hormones which can cause fertility problems. 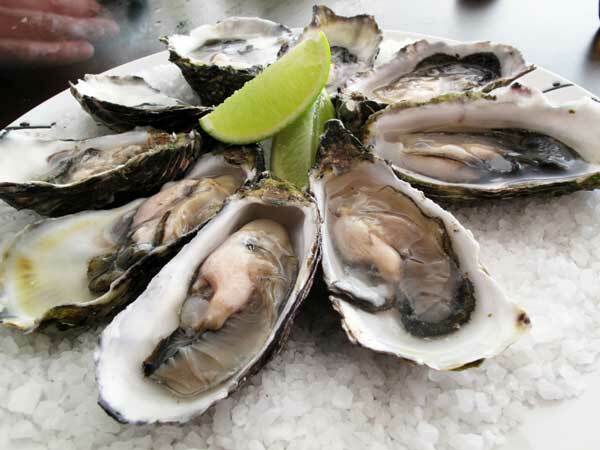 Zinc has a role in the production of cells, including muscle cells. This is important because muscles, just like other tissues require new cells to replace old ones. They also require repair of injured cells in order to maintain their integrity as part of the muscular – skeletal system. Zinc deficiency exposes the body to infections and illnesses, people who regularly get infections should consider increasing their zinc intake. According to some studies, zinc supplementation can reduce the duration of common cold by about 40 percent. (8) If taken as soon as symptoms are present, oral zinc lozenges have been found quite useful in limiting the duration and severity of a cold. ← Are You Eating the Right Type of Carbs? Thank you Martha. Very pleased that you are enjoying the articles. Really good to hear from you. Patrick.